Hurricane Sandy has swirled, uninvited, into our lives, and like our neighbors near and far, our lives have been temporarily rearranged. The leaves are now gone from the branches. 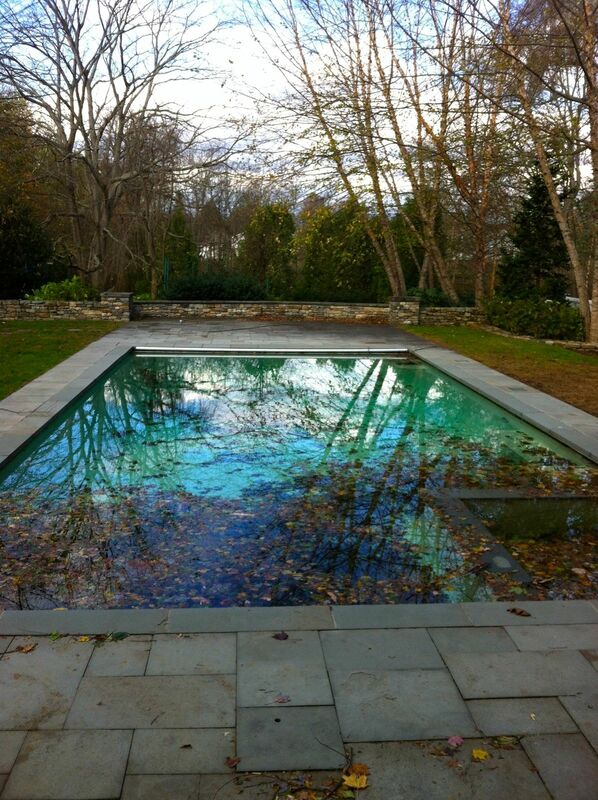 They hover in clumps at the bottom of the pool, shimmering on reflected trees. We, like many, were Mandatory Evacuated. In a matter of 45 minutes we grabbed groceries (everything we could see), clothing (not much), schoolbooks (the basics), one computer and the dog. Of course, we forgot the flashlights. 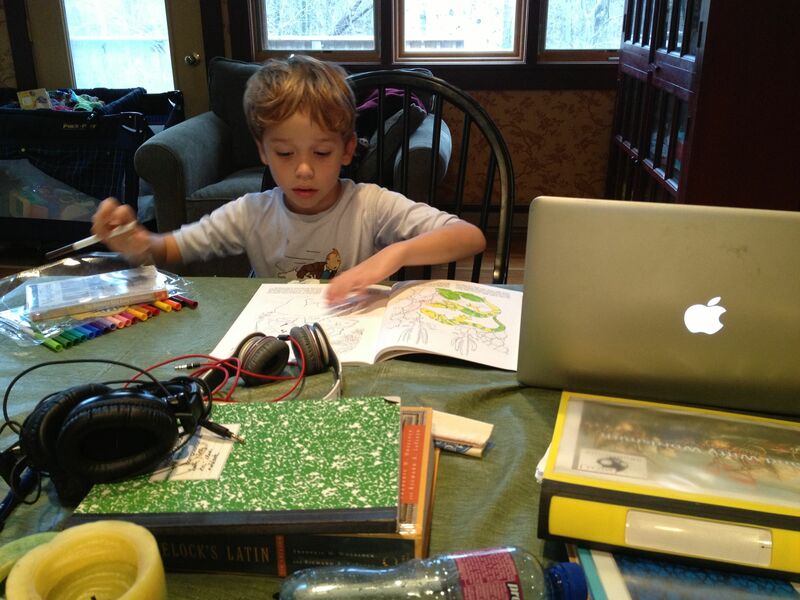 And so we returned to our Traveling Homeschool mode that marked so much of last year. This time, with our previous experience, we knew just how to do it. Hint: fastest packing item, the laundry basket. Grab everything you see and toss it in a basket. Throw basket in trunk and drive away. 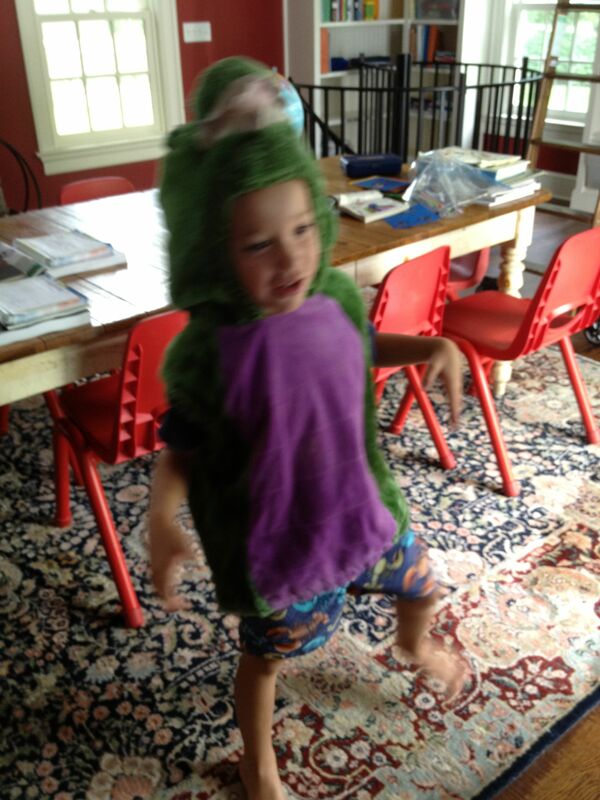 Meanwhile the kids were most distraught about missing their friends and Halloween. In fact, that was the only salient point they understood about the entire evacuation process. Prompting my husband to question their sanity. 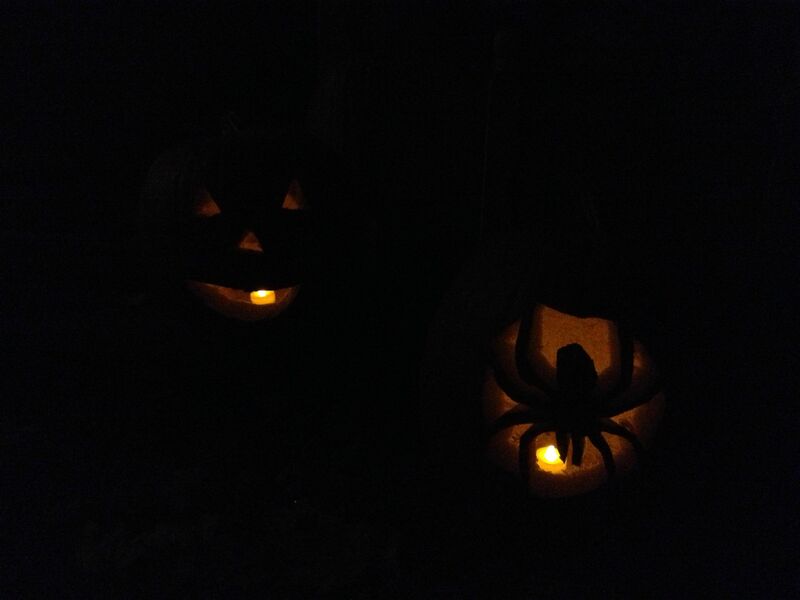 “But we will be missing Halloweeen,” they howled in unison, as our car pulled out of the driveway. “It is a National Emergency,” Husband replies matter-of-factly. Husband turns the volume up louder on the radio. A revolt was imminent. I unpacked the kids, dog and books and promptly set up a portable classroom. This shocked the kids into silence. You may ask, Why school? 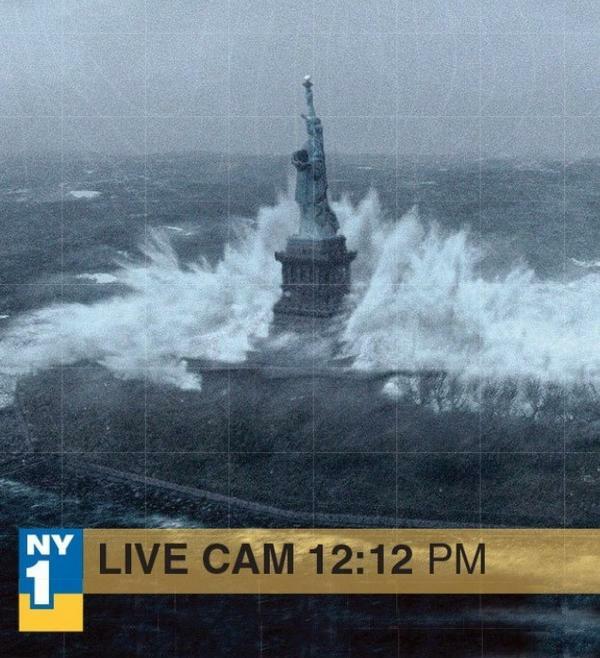 With every single school in half the nation closed, why do we continue, undaunted, as we are pummeled by wind and rain? Simple. Parental sanity. 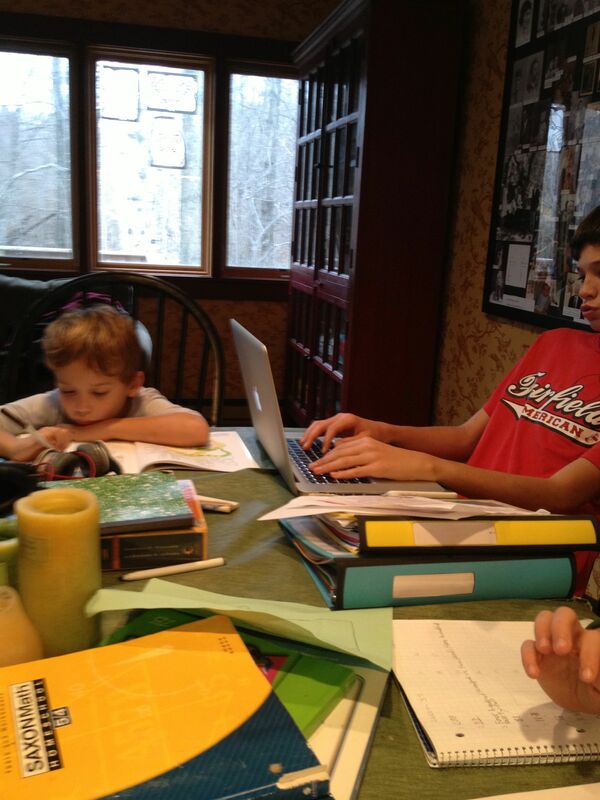 With 5 kids in a small space, schoolwork is the most direct route to peace and tranquility. We brought only our most basic books, math, spelling and vocabulary. With many online classes and textbooks we quickly created a computer-share system with priority going to kids taking classes on the West Coast, where there are no weather-related delays. Remarkably, they got everything completed and uploaded in time, despite being granted extensions. With few textbooks we quickly turn to the best education: classics. By late afternoon each day we are draped about the room, swathed in blankets and reading the available books. Athena is reading My Antonia by Willa Cather, Quantum finished A Raison in the Sun by Lorraine Hansberry and then found a copy of Lord of the Flies by William Golding. Truth is happily reading Tom Sawyer by Mark Twain, Bounce has finished Alice in Wonderland and is now reading Through the Looking Glass, both by Lewis Carroll, and I am finishing Black Boy by Richard Wright. Happily, with few clothes and much food, we are comfortably dressed in our pajamas for breakfast, lunch and dinner. 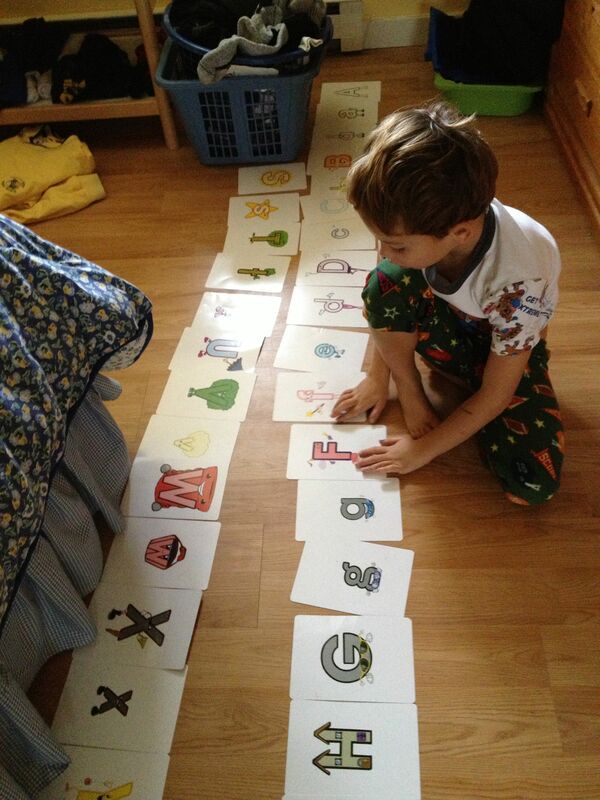 Scooter found a box of alphabet letters and spent several hours figuring out how to arrange them in alphabetical order. Soon we may use these letters to show Scooter how to create three letter words. He now knows there is a pattern to word-making. “Cooked ford is more useful than raw food,” I responded, and went on to hard boil another dozen eggs. 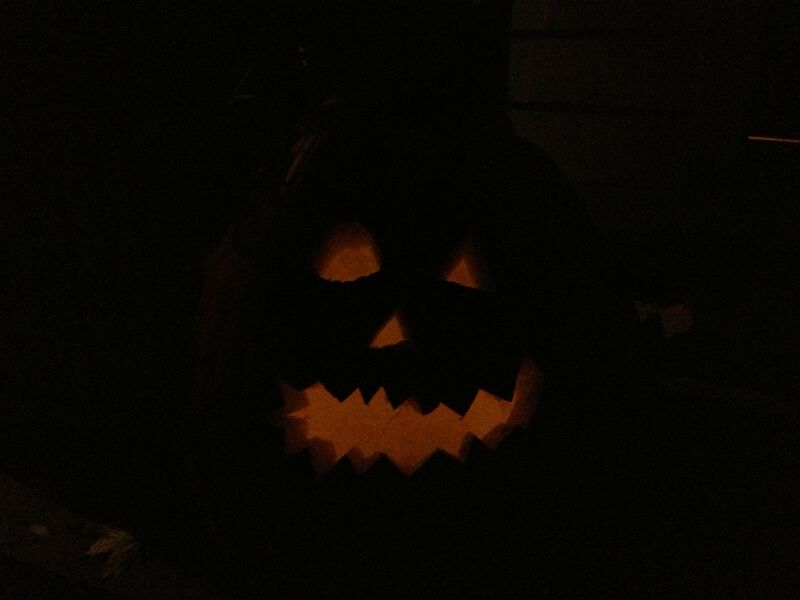 So now it is officially Halloween and the police have canvassed the neighborhood and forbidden children from wandering around in the danger-ridden dark. Needless to say, our neighborhood is now scarier looking than the best Halloween and it looks like real ghosts have been playing havoc with the town. Our family, like many others, is thankful for our safety. We are grateful for simple family moments: meals shared together by candlelight, games played by the fireside, and long afternoons spent reading cherished classics, all punctuated by long rainy-day dog walks. Hurricane Sandy has provided us the opportunity to stop moving at the speed of light (electricity) and begin to move at the more natural speed of the human being. Let Me Count the Days: Homeschooling is being grateful for the miracle of safety and educating your children through literature in the midst of chaos and adventure. Happymess is hosting a new book club this year. 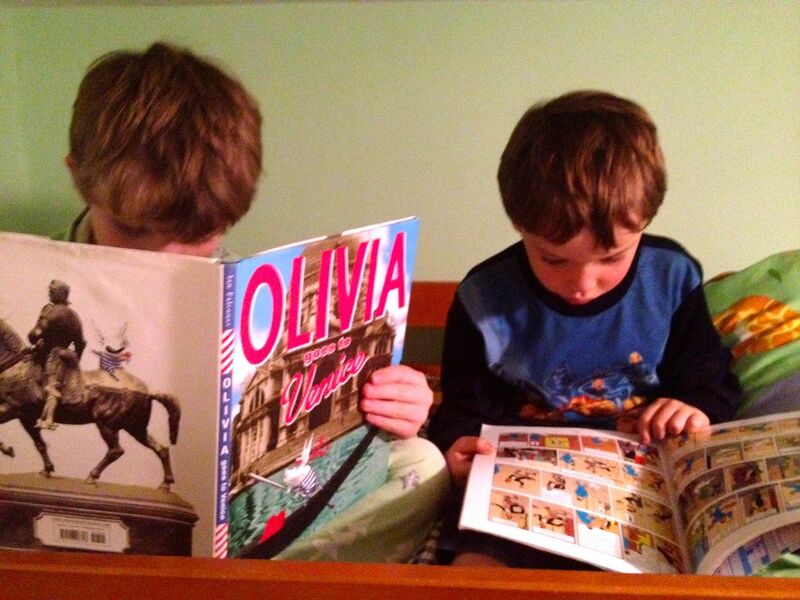 It is wonderful to find new children and new ways to explore classic children’s literature. What makes a classic? Believe it or not, this is a discussion which the kids enjoy debating every year. Some think there is a “committee” which grants a book “classical” status. Others are sure there is a “list.” In actuality, it is determined by pure love of literature, granted by a doting audience that discovers the same wonderful titles and falls in love anew with outstandingly portrayed characters. A novel becomes a classic when it succeeds in telling an enduring tale that resonates with every reader. It is timeless in its message because it speaks to that which is human in all of us, be it through fantasy, historical fiction or mystery. The challenge to the teacher is to help new readers discover the same beauty and meaning that previous readers have known for generations. Our new book club has given this group of homeschool buddies the opportunity to share A Single Shard by Linda Sue Park, Tuck Everlasting by Natalie Babbitt and most recently, Old Yeller by Fred Gipson. We like to discuss the major themes, examine the author’s stylistic approach and imagine ourselves in similar positions. Each novel has inspired its own unique approach, and Old Yeller is no exception. We began our group discussion with a series of open-ended questions, designed to explore the experience of reading Old Yeller. We noted that the end of the story was in the beginning, as is the case with so many great pieces of literature. We discussed how suspension of belief allows us to read the entire story, almost oblivious of the inevitable and dire ending. The kids were excited to share their insights into this coming-of-age story as Travis struggles to be the man-of-the-house in an unforgiving world. Travis is a hotheaded youth forced to be tolerant, responsible and hardworking. Eventually this trio of requirements forces Travis to mature and become the “man” he wasn’t at the beginning of the story. I was truly surprised at the children’s ability to accurately recall minute details of the story. I guess you will have to read the novel with a magnifying glass to find the answer to that one. Or be a 10 year-old avid reader. Some of the group thought they would write an essay discussing Travis’ character development, tracking the parallels in plot with Travis’ maturation. Bounce elected to make a photo book cover, front and back, with his own synopsis on the back cover, see above. This was really fun for Bounce as he loves his dog and can understand the dynamics of a relationship between a boy and his dog. Our book club group has a soft side and they love to help others. 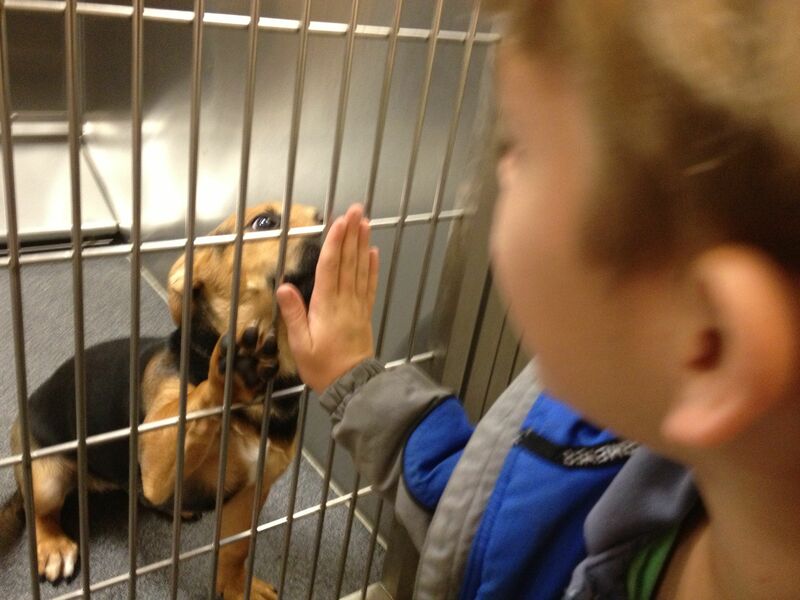 They decided that in honor of Old Yeller, and countless deserving animals just like him, they would like to help animals at a local shelter. So, all last week our hard working book club members have scrubbed floors and babysat and ironed linens. They earned a combined $95.00. 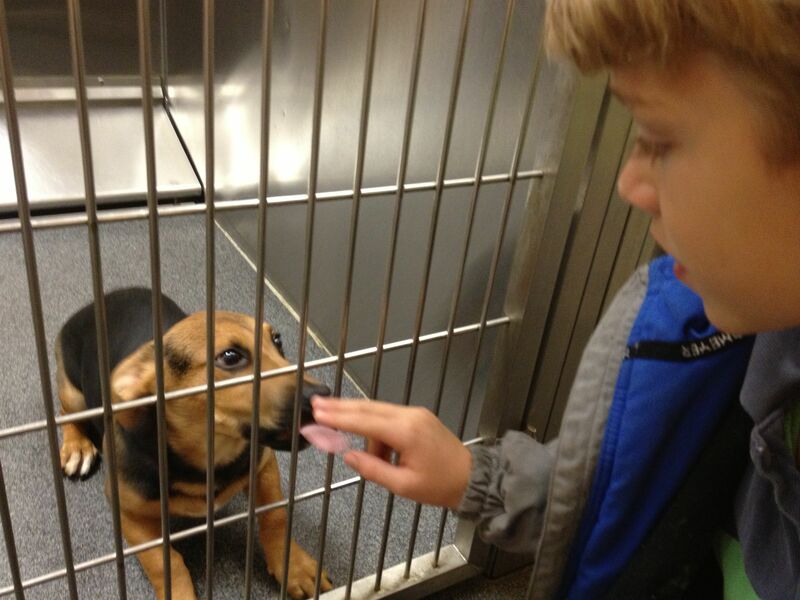 This morning, with a delightful break from homeschooling, we met at the local pet supply center. After rejecting the most expensive brands, our group learned to study the “price/lb.” labels and the “sale” signs. 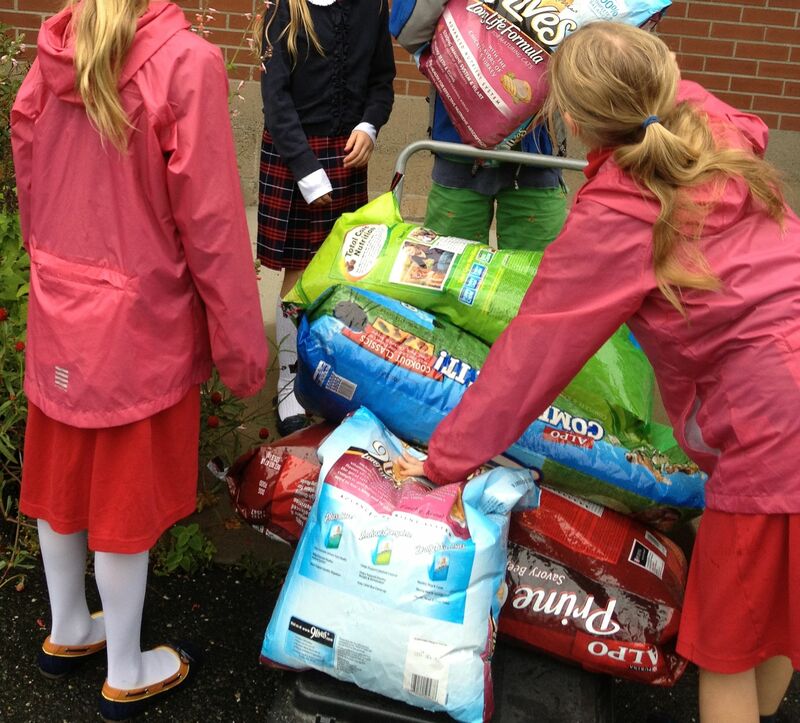 They carefully perused their options, lifting 50lb bags of dry cat and dog food in and out of shopping carts as they weighed their options. Finally, after great deliberation, they purchased 170 lbs. of cat and dog food for our local animal shelter. 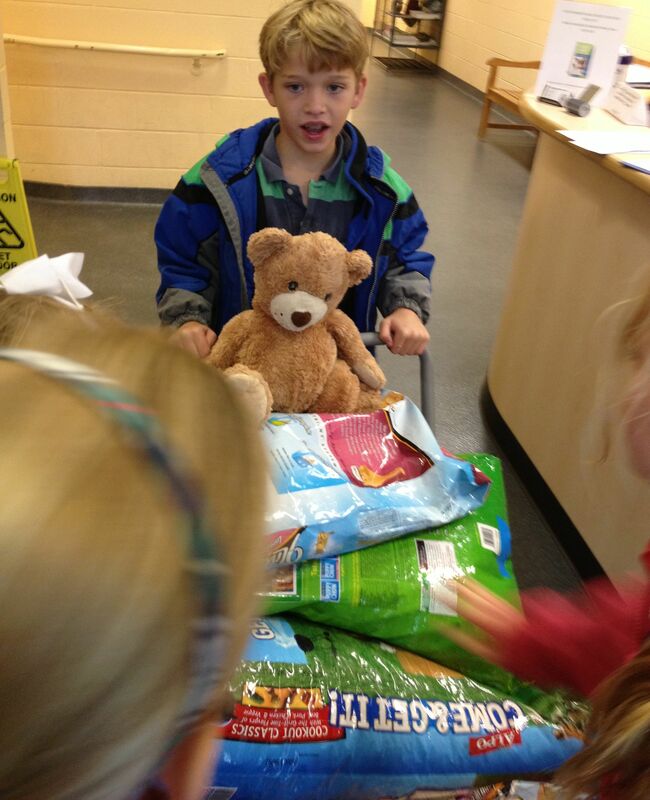 And now for the best part, they got to carry all that food into the shelter and make their very own donation! 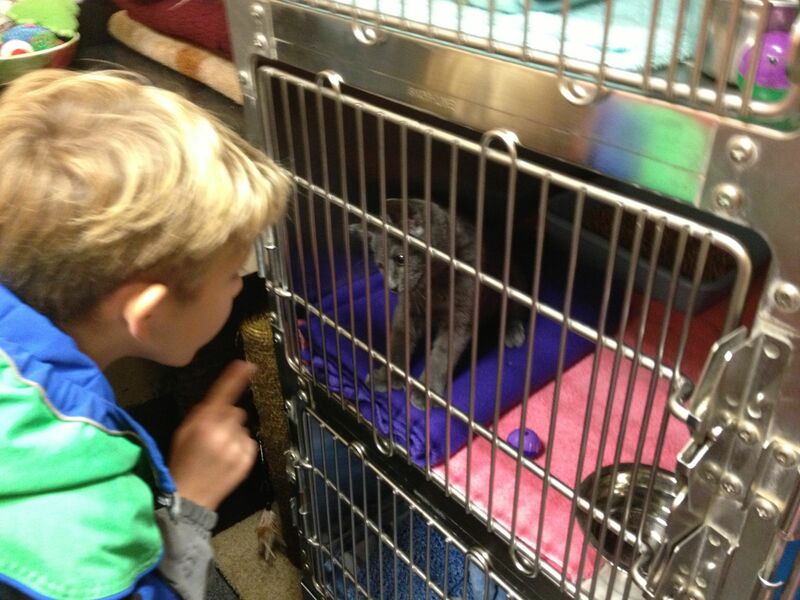 And then of course, they visited with all the animals, wishing always that we could bring them all home. Sadly, we could not. Old Yeller now “belongs” to this group of intrepid young readers. They are building their very own criteria of what makes a classic. 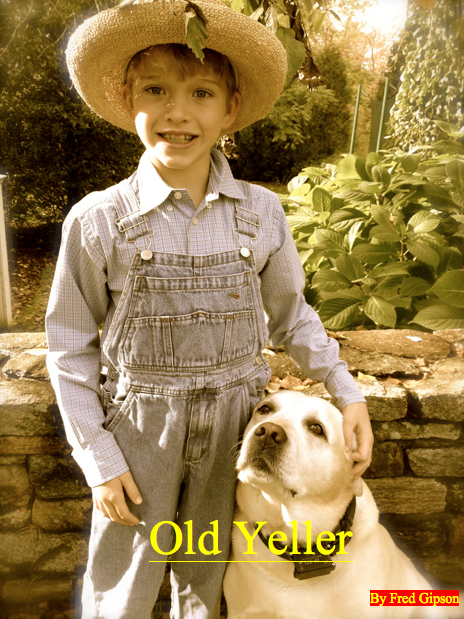 For these homeschoolers, Old Yeller will be filled with memories of lifting 50 Lbs bags of pet food in the rain, making old-time photos with the family dog, writing short pieces about growing up, competing with one another over test questions, and crying with Travis when he finally has to choose between his family and his dog. Now that is what makes a classic. Let Me Count the Ways: Homeschooling is remembering that for each child it is their first childhood, no matter how many generations have preceded them. For the 8th time in my life, I am embarking upon the initially impossible task of teaching a young child to read. Not memorizing, but actually decoding the letters into real sounds and real words with meaning. I will be honest. It is daunting. We began months ago with rhyming words and consonant recognition. This initial step was successful but we were not able to make much headway, so like a good progressive mommy, I gave Scooter time off to grow and develop. Months later, as we were preparing for Kindergarten, I was called into the new school’s office for a “special” meeting. Well, since those fateful words have been spoken, Scooter and I have used every learn-to-read program I can find, and we are still just mastering the consonant sounds. To be sure, Scooter, as Dr. Seuss says, “Can read little words, little words like if and it.” Actually, he can read Mat, Pan, Can, Jam, And, The End. That’s about it, and I generally put that skill set into the memorizing rather than decoding box. I can see you like school. We can be sad to miss you. And do you like to eat jam with no ants? Me too. The End. My husband was quite mystified. “What the heck kind of note is that to write?” He asked suspiciously. “One he can read,” I answered defensively. And there you have it. Months and days and hours of effort and still we are learning the same lesson each day. Our pediatrician smiled wisely and said, “They all develop at different times and there is no point trying to teach them beyond their capabilities.” Truer words were never spoken, and yet she may not be acquainted with my tenacious tendencies. Scooter is not without his charm. 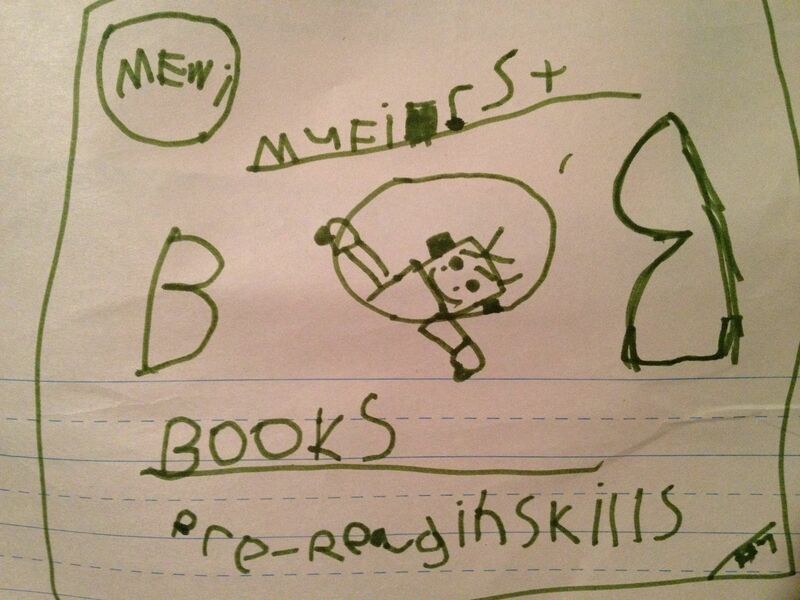 In this picture he has copied the Bob Book cover and carefully written “Pre-Reading Skills,” not withstanding the fact that he has no idea what that actually means. 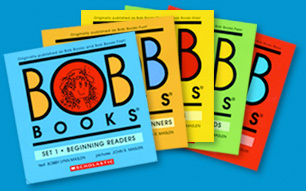 My favorite learn-to-read books have always been the Bob Books. They are simple, uncomplicated and truly tell a viable tale with very few letters. Each story adds just one or two new words and your child will soon be able to gain confidence “reading” these short stories. Once Scooter can read approximately 20 – 30 words I will begin to “write” my own little stories for him to read. For me, this is always the really “fun” time in a child’s reading development. They love reading the little, silly stories about themselves, their friends and family. We are definitely not there yet. 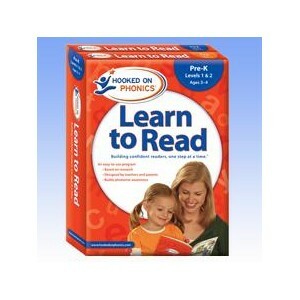 This year, owing to needing additional material for Scooter, I have used Hooked On Phonics Pre-K and Kindergarten levels 1 and 2. These are nice sets, easy to use and quite appealing. Scooter enjoys the words and graphics. 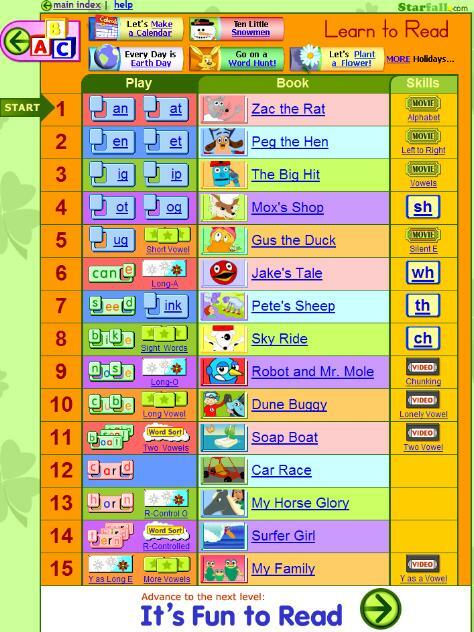 This program offers a complete introduction to the alphabet, beginning word construction Pan, Can, Fan, etc. and then small stories using each new word and sound set. 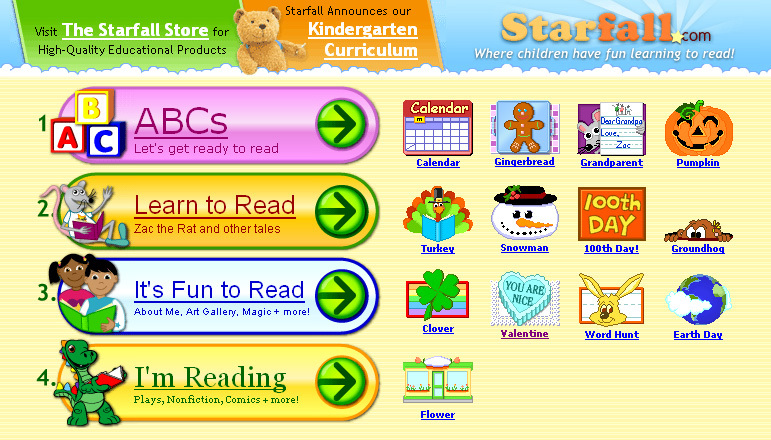 Additionally, Starfall has some very nice introductory number and math programs. There are countless electronic learn-to-read programs but it still always comes back to the basics. Words and Books. After all our lessons, Scooter and I return to the basics of reading together. Scooter loves stories and I show him how the words I am reading are right there on the page. Ultimately, I evaluate his reading skills based upon true decoding. Can Scooter read a new word in a new context because he can sound out the letters and recognize the word? Can he read a story and understand the meaning? We are still a long way from success but I am confident we will get there. Meanwhile, Scooter is learning that I love him and I love words and together we are loving the words that make up the stories that we always enjoy reading together. 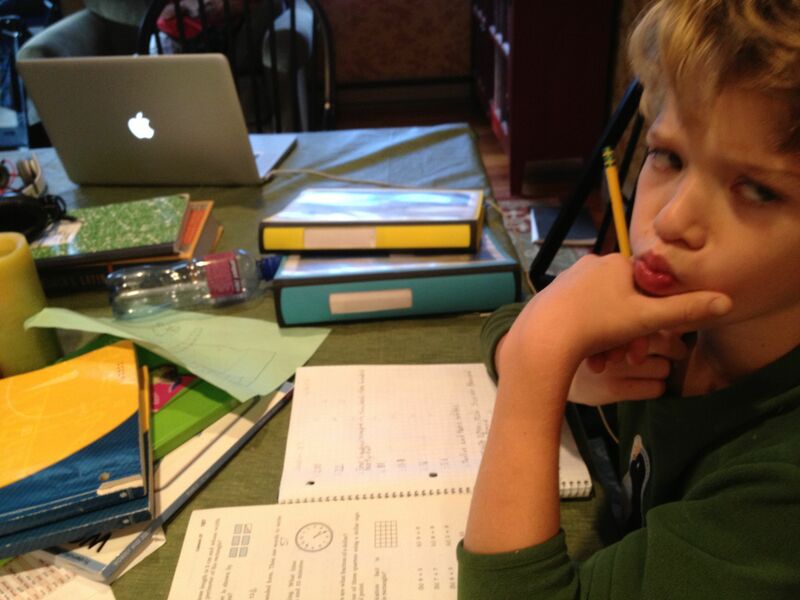 Let Me Count the Days: Homeschooling is the opportunity to practice eternal patience. For each child, it is their first beginning. We have been reading to Bounce since birth. 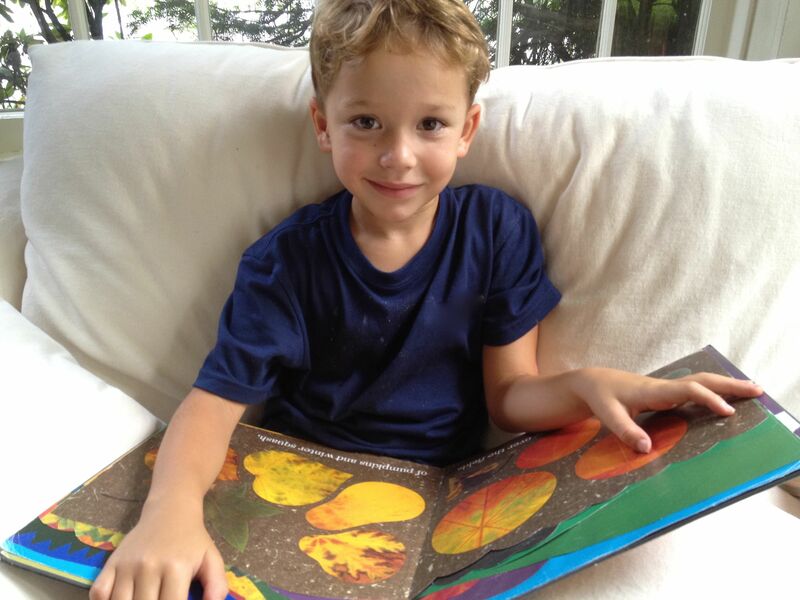 He has chewed on books for breakfast, he has written on books at naptime, we have read countless stories at bedtime and finally, in Kindergarten he began to read them himself. The process from beginning reader to, “I love this book and I can’t put it down until I have read every last word,” can take years. During this time, like a sapling, the young reader must be constantly nourished and encouraged. 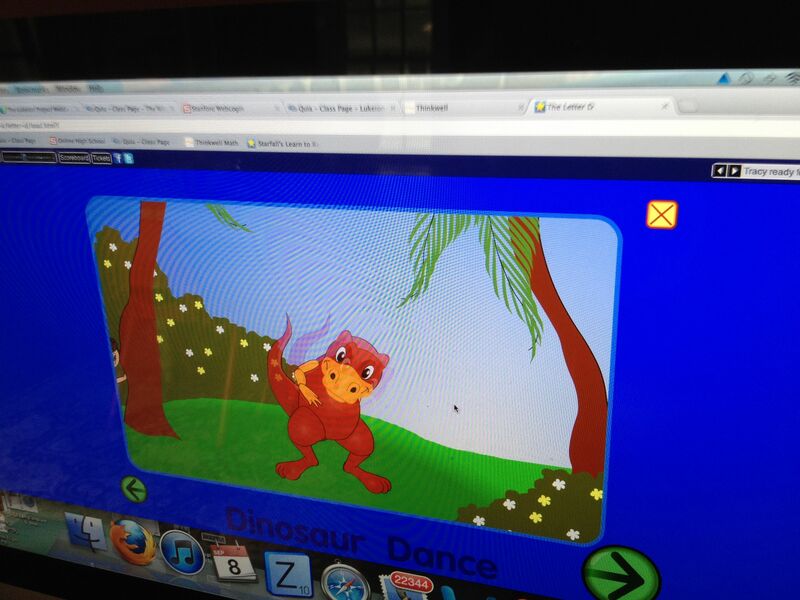 This school year, 3rd grade, I decided that my first priority for Bounce was learning to love reading. If your student is a reader, with easy fluency, expansive vocabulary, and is endlessly enticed by the written word then, and only then, they can learn ANY subject. Without the ability to read fluently, every subject is a struggle. Bounce began the year as an adequate, steady but uninspired reader. We took a multiple step approach. 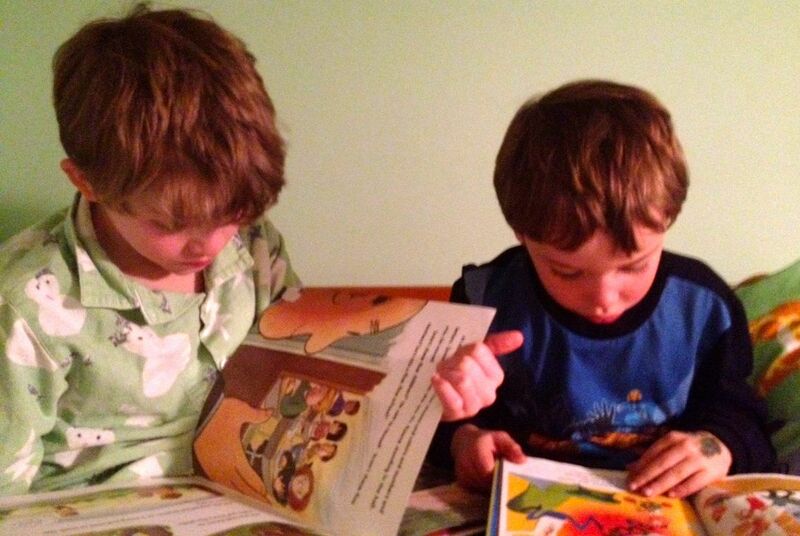 My favorite way to develop early reading skills is through reading aloud. 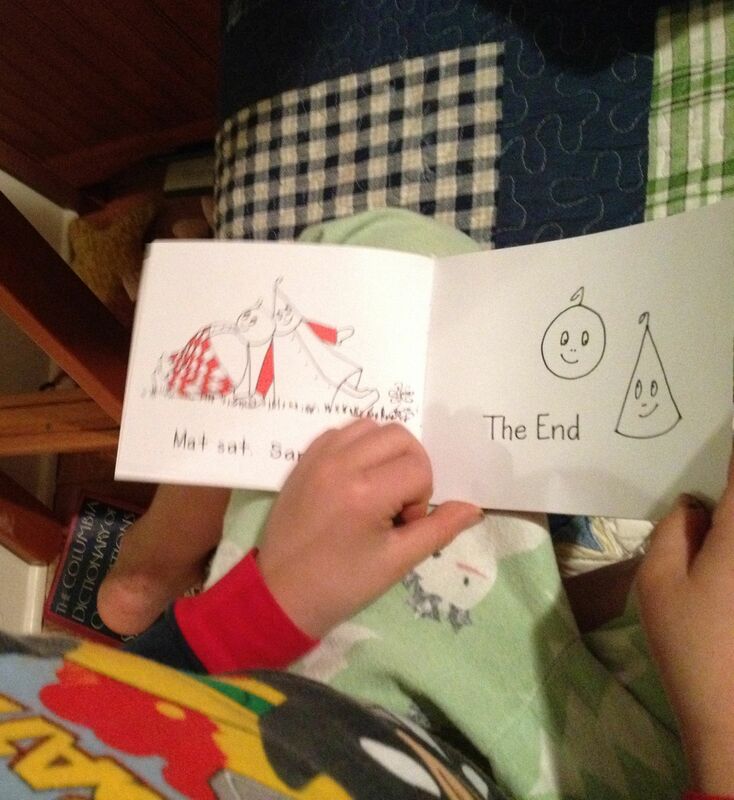 When your child reads aloud you can really hear the words he/she knows and those they stumble over. The child must also anticipate the story as they read so the inflection is correct. Clear diction becomes necessary if others are to enjoy the story. So how do we accomplish this in our busy household? With the Greatest of Ease. Bounce is assigned to read all of Scooter’s bedtime stories, aloud, to Scooter. Scooter and Bounce both love this system. Scooter loves to pick out his favorite books and will happily choose 10 to 15 books for bedtime. No self-possessed parent would be able to read 15 bedtime stories every night. However, Bounce is happy to do all this reading. The longer he reads, the longer they can both stay up. The more books they read, the more time I have to get the rest of the family organized. Everyone wins, Scooter learns to love stories and Bounce, well, he is just getting better and better at reading each night. Don’t have a younger sibling handy? How about a neighbor or cousin? Elementary school children can also read aloud at library programs designed for toddlers. Ask your local librarian for suggestions. 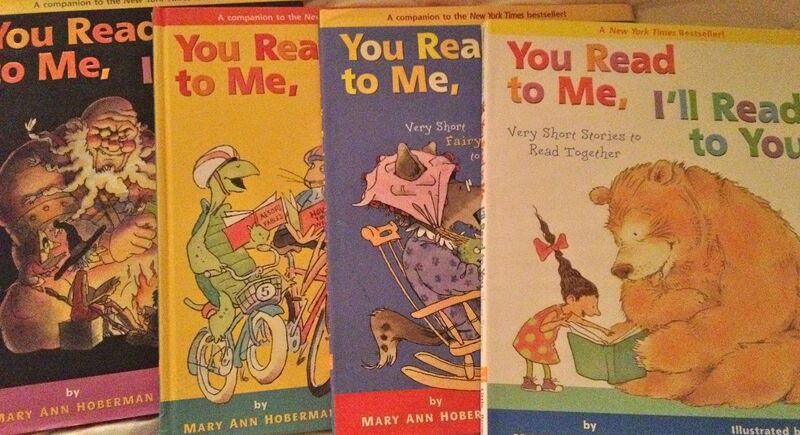 Bounce and I also read You Read to Me, I Read to You books by, Mary Ann Hoberman. 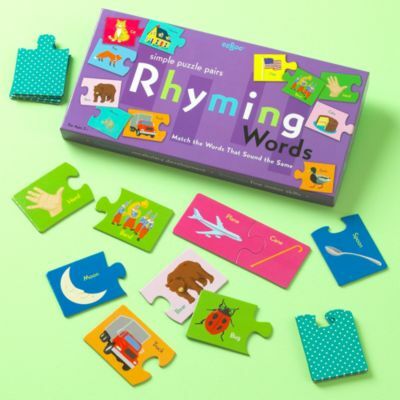 These are perfect for developing readers as the words are slightly more complex but the rhyming couplets can help the reader “guess” difficult words. These books are alternating read-alouds. Parent and child can share the reading and enjoy the story together. Meanwhile, I choose a more difficult book and read this aloud each night to Bounce. The purpose of this book is to create interest in complex plot lines and encourage understanding of more sophisticated grammar and vocabulary. We have also read A Christmas Carol, unabridged, by Charles Dickens and Wind in the Willows, unabridged, by Kenneth Grahame. I am NOT a fan of abridged books for children. 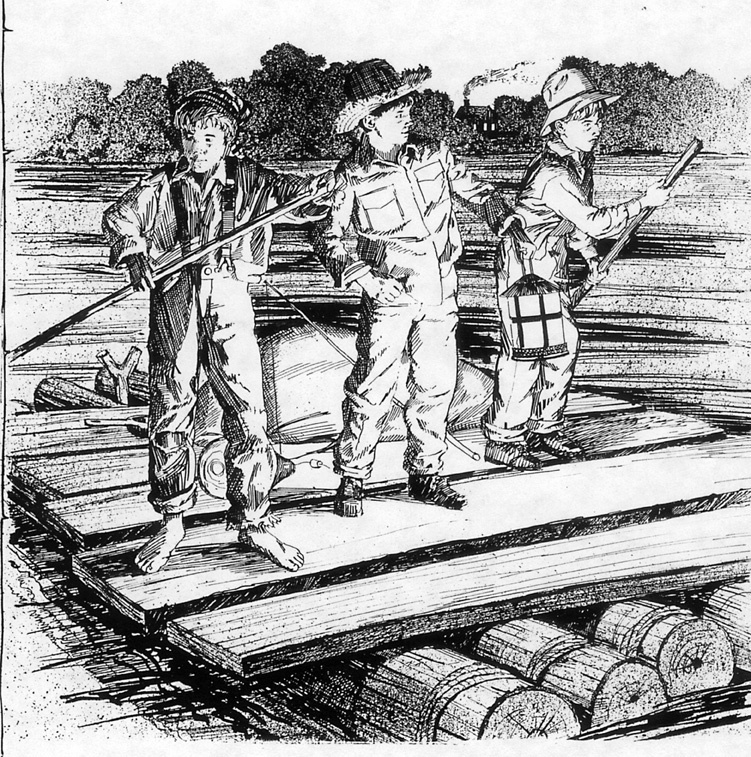 Abridged books discourage the later reading of the original book. My suggestion: If a child is not ready to read the original do NOT read a picture book version, do NOT read an abridged version and most definitely do NOT see the movie. The child should have the joy of reading the real story when they are intellectually ready. If they already know the plot of every story what will motivate them to struggle through a difficult text when they are older? Treasure Island is an excellent example. The original version of this book, by Robert Louis Stevenson, uses challenging vocabulary and the story is presented in an unusual manner.. 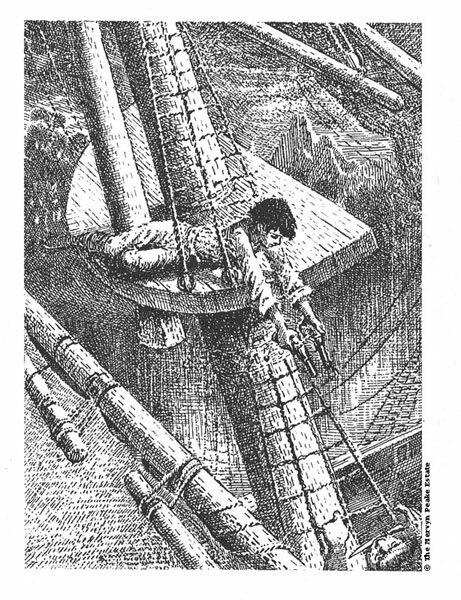 The story, however, about pirates and adventures at sea, is very exciting. This is a book that is definitely worth the struggle. The student who reads this book will be much better prepared to read other challenging material. Surprisingly, another book that fits perfectly into this category is Winnie the Pooh, by A.A. Milne. Many children have grown up watching the TV version of this book. Few children have had the opportunity to enjoy the original. This book, and the others written as sequels, utilize difficult vocabulary and is an excellent read-aloud book to encourage children to pay close attention to the story and to understand the meaning of words. Another excellent series for developing word appreciation is Peter Rabbit, by Beatrix Potter. Children are captivated by the darling illustrations, but even more important is the fact that these little tales are literary gems. Each story has a defined plot, clear moral and an unapologetic use of formal English. So where are we now? Bounce has irrevocable fallen in love…with reading. He reads day and night and has progressed from the Magic Tree House series, by Mary Pope Osborne, a great first “chapter book” series to Flat Stanley, by Jeff Brown, to Raold Dahl, the mainstay of the elementary school reading experience. 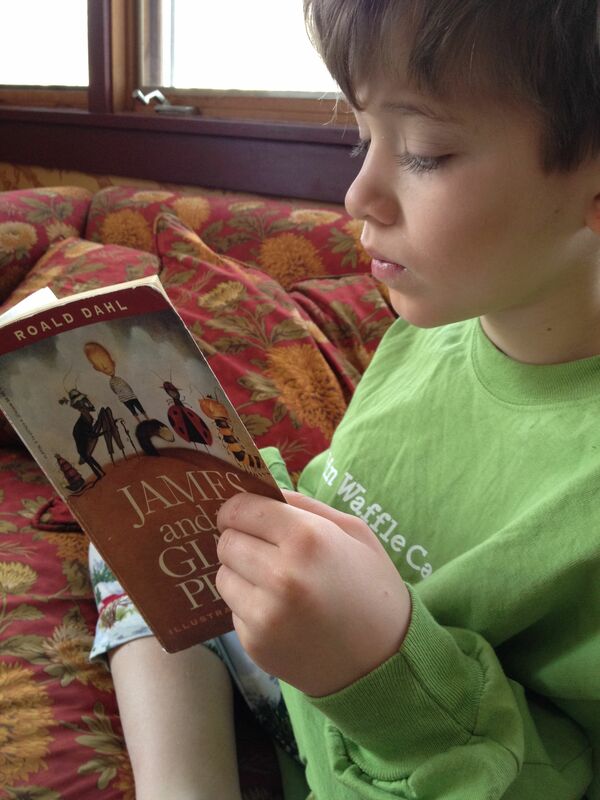 He has read Fantastic Mr. Fox, The Twits, James and the Giant Peach and George’s Marvelous Medicine. Currently he is reading an all-time favorite, Matilda. What better statement could I hope for? I am thinking that soon he may be ready for Inkheart, by Cornelia Funke. This book is the ultimate children’s book about books. 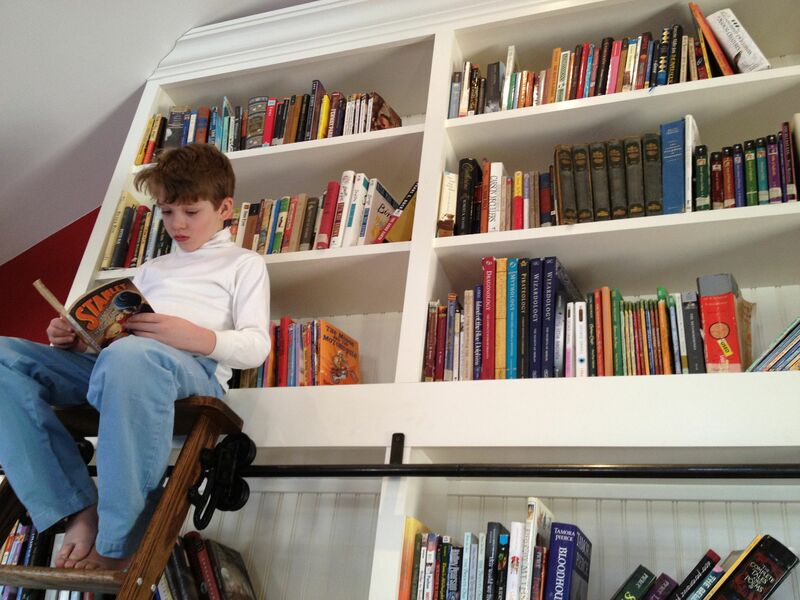 Let Me Count the Days: Homeschool is teaching a love of books by reading books that are worth loving.